Sleeping can be very difficult for some adults. Babies and children seem to do it without a problem but the older we get, the harder it can be to get a good night of rest and feel better in the morning. 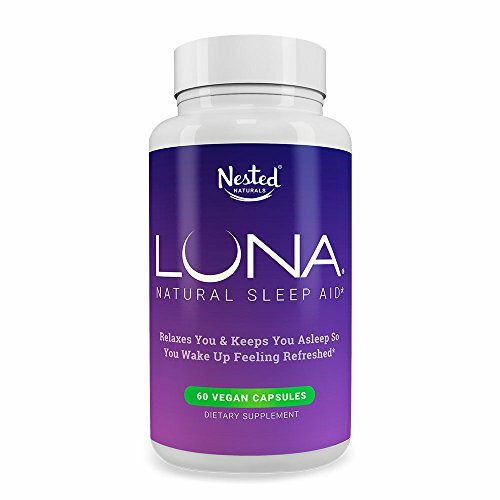 Especially if we suffer from insomnia causing problems such as anxiety, illnesses that cause sleeplessness or are taking certain medications that can cause us to miss out on our rest. Losing sleep often has an impact on everything else in our lives. When we lose sleep we are sleepy, physically fatigued, emotionally drained, and mentally unable to perform our jobs as well as we should. Lack of sleep can reduce the effectiveness of our immune system and put us at risk of serious health conditions such as heart problems and diabetes. Your brain naturally produces serotonin, which is a substance associated with happiness and feeling good. Serotonin is then converted into Melatonin upon nightfall. This means that if your body is struggling with depression or other problems producing serotonin, you’re going to be missing the substances you need in order to sleep well. 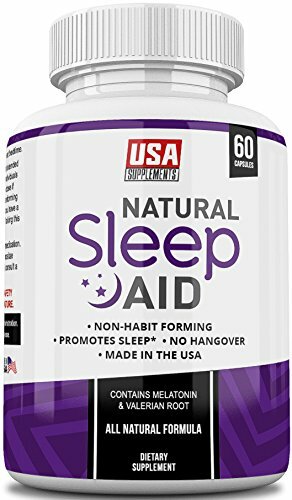 Many medical professionals recommend a dosage of .03-1 mg of melatonin taken one to two hours prior to bedtime. An important contributor to the production and conversion of tryptophan, Vitamin B-6 helps to regulate sleep patterns. Lack of adequate levels of B-6 can lead to reduced serotonin, resulting in a reduced amount of melatonin that directly affects your sleep. Medical professionals recommend taking one to two milligrams of Vitamin B-6 per day for adults. Ask your doctor about increasing your B-6 levels as you age. This substance plays an important role in the nervous system, muscles, cardiovascular system, and much more. Studies have shown that people with low magnesium levels may struggle with quality and quantity of sleep. As magnesium helps to regulate hormones, it also affects sleeping. Check with your doctor about how much magnesium you need to take. Many medical professionals recommend between 350mg and 400mg per day orally, plus that much more included in your diet. A major contributor to activating the calming neurotransmitters, gamma-aminobutyric acid (GABA) reduces anxiety and promotes relaxation for the body and brain. People who suffer from insomnia typically have low levels of GABA so a supplement may help. However, some people have difficulty absorbing this supplement into their body, so it may not work unless it is taken with a booster (such as L-theanine listed next). Recommended dosage for GABA is 250mg to 500mg just before going to sleep. This unique amino acid is found in green tea and is a natural trigger for the above activator, GABA. Some people have difficulty with absorptions of GABA supplements, but taking a booster of L-theanine can help with GABA levels. Around 500mg of Theanine is recommended but talk to your doctor before taking it. This herbal, homeopathic remedy is a powerful supplement that causes drowsiness while reducing stress, anxiety and nervous system problems. Valerian root can also help to naturally soothe pain, which is useful for people whose insomnia is combined with or related to conditions such as arthritis or fibromyalgia. Researchers are not exactly sure how this herb works as no single compound in it has been identified as an active agent. However, this herb has been shown to effectively increase GABA levels (see above). Combining Valerian root with hops and lemon balm seems to increase its effectiveness. Recommended dosage for Valerian root is between 300mg and 600mg of Valerian root between 30 minutes and two hours prior to bedtime. It may also be ingested in the form of a tea. Derived from L-tryptophan, the amino acid present in turkey and many other foods, 5-HTP is a supplement used to boost the mood and promote healthier sleep patterns. It is not recommended that people who are taking antidepressant medications use this supplement. 5-HTP crosses the blood-brain barrier better than L-tryptophan does, thus increasing serotonin release and ultimately promoting sleep. Check with your doctor about adding 200mg of 5-HTP as a supplement to your regular dietary needs. Used for centuries by people living in the South Pacific, Kava Kava is responsible for decreasing feelings of anxiety and stress while elevating the mood. It has been shown to improve the quality of sleep and quicken the amount of time it takes to fall asleep. As Kava Kava may have some negative side effects, be sure to check with your doctor prior to use. Using ingredients such as chamomile and passion flower, Brauer sleep tablets are natural and homeopathic to help reduce anxiety and mental overactivity. Gluten free, lactose free, and preservative free, Brauer Sleep is an example of a non-habit-forming aid to help you rest and relax while you consider the root of your sleep problems and aim to solve it. Any supplement or substance you expose your body to can be powerful and have risks. Be sure to talk to your doctor about any supplements or sleep aids you might consider taking in battling your insomnia. This is especially true if you are taking any other types of medications as even natural substances can interfere with the effectiveness of your prescriptions. If you’re in the process of changing your bedtime routine, instilling healthy sleeping habits, and seeking help for any anxiety that might be interfering with your sleep, then you’re probably on the right track. Adding in healthy substances to balance out your body’s chemicals and promote sleep patterns can be an effective, natural way to get your entire life back on track.